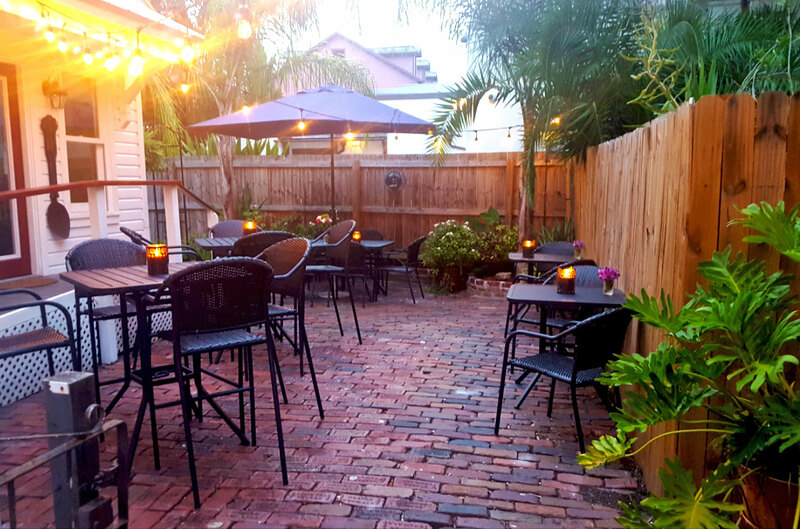 44 Spanish Street Bed and Breakfast is a historic inn in the heart of downtown St. Augustine. The house was once a boarding house in the 1920s, which was meticulously restored and converted into a B&B in 2003. Guests will find the perfect mix of private and common areas at 44 Spanish Street, perfect for the weekend getaway or romantic honeymoon. 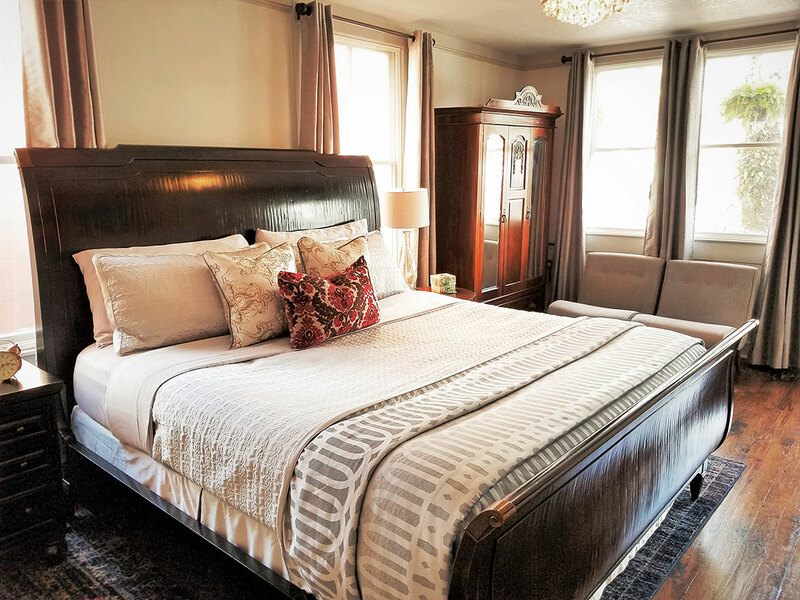 There are a total of eight queen bedrooms at the inn. Each has its own private bath with either a walk-in shower or whirlpool tub. 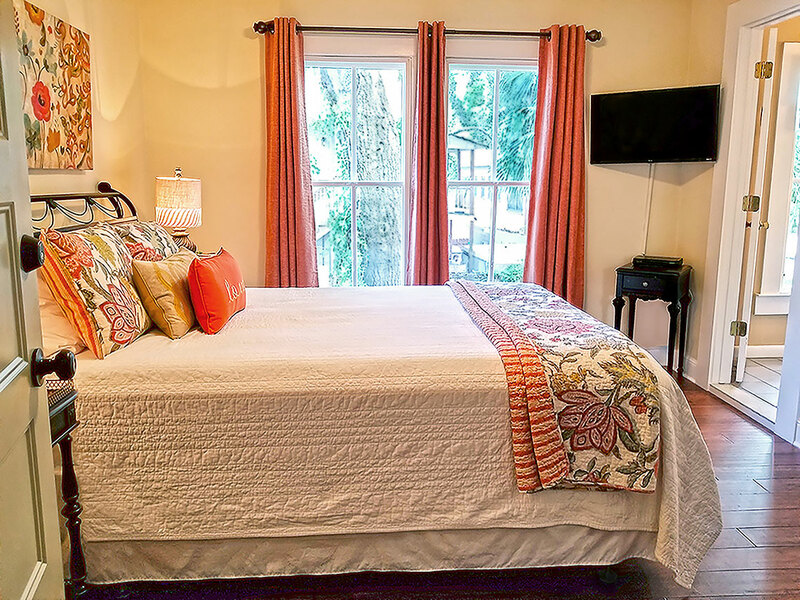 Luxurious linens, white goose-down comforters, and a sophisticated interior decor gives guests of 44 Spanish the perfect place to relax and enjoy an unforgettable Florida vacation. 44 Spanish Street offers its guests a relaxing atmosphere and a convenient location. It is within blocks of downtown area attractions, shops, restaurants, and historic sites. Nestled in the heart of the historic district, it is easy to get caught up in the slow pace of St. Augustine life. All guests are provided with free parking at a secure lot one block north of the B&B. Complimentary wireless Internet access is available to all guests. All rooms are equipped with ceiling fans, irons and ironing boards, cable TV, hairdryer, and central heat and AC. In addition, each room has either private or shared access to mini refrigerators, microwaves, and coffee makers. 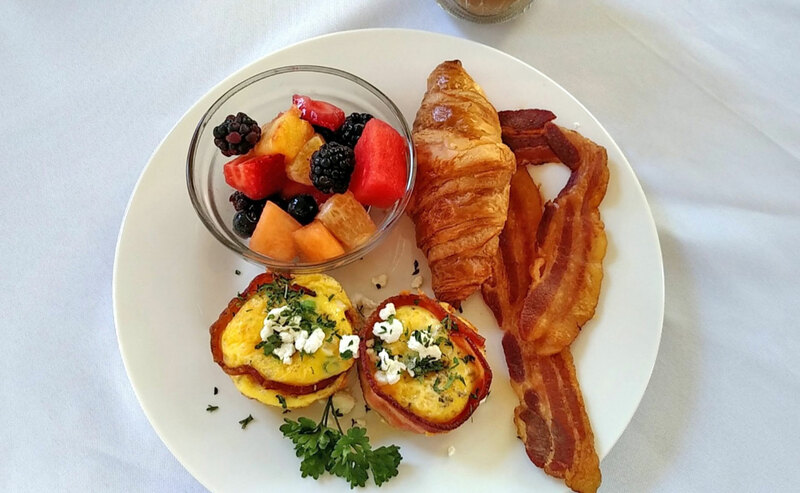 Full breakfast is served each morning in the courtyard dining room. Coffee, tea, and cookies are available at all times. Visit their website today and book your perfect St. Augustine vacation at 44 Spanish Street Bed and Breakfast. Free parking, cable TV, free wireless Internet, ceiling fans, AC and heat, iron, ironing board, hairdryer, microwaves, mini-fridge, and coffee maker. Stayed July 2017 and we will be back! Clean & comfortable rooms. Great personal service from Brian, Emory, Sheila & Mary. Delicious food and friendly surroundings. Ideal location. We have been to many B&B's thru out different states and recommend staying at the Inn. Excellent!!! First time staying at a B&B. Food, service, cleanliness excellent. Will definitely recommend. My wife and I stayed the night on July 12, 2014 for a quick get away. After doing a little research on the area bed and breakfast accommodations, I chose 44 Spanish Street because of the excellent reviews. The owner, Linda, greeted us at check-in, gave us bottles of water from her personal refrigerator, a quick tour of the property, and reassured us to contact her if we needed anything. The house is beautiful and we thoroughly enjoyed our stay. Linda's home cooked breakfast was EXCELLENT as well. 44 Spanish Street is a refreshing personal experience in a time when the hospitality industry is becoming increasingly impersonal. Thank you Linda for the wonderful trip, we will be back soon.